Click on the Part Numbers in this table for more info and pricing. If a number is not linked, it has not been added yet, or might be obsolete. Obsolete numbers will be red text. 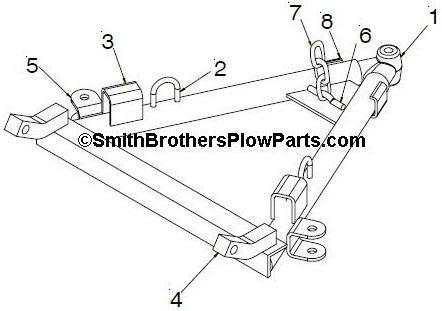 Bolt Kit for Angle Rams on C Series Meyer Plows. Includes 4 bolts, 4 Nylock Nuts, and 2 Washers. Bolt Kit for Angle Rams on ST Series Meyer Plows. Includes 4 bolts, 4 Nylock Nuts. Washers are not included in the ST Kit. Pair of Pivot Tubes fits ST Moldboards. Also fits Sector on ST and C Series, same dimensions, just ignore the cotter pin hole when installing on Sector. MUST BE WELDED IN. Read FULL Description. Hardware Kit for Meyer ST Series SAF (Sector A Frame). 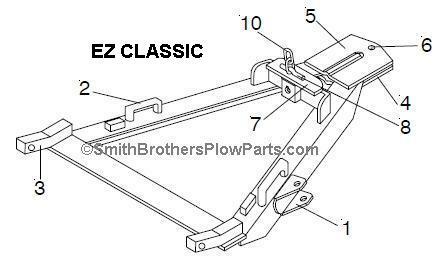 Includes: (3) Trip Spring Eyes with nuts, (2) Genuine Meyer Pivot Pins with Grease Fittings and cotter pins, (1) King Bolt, (2) Hitch Pins with Clips. 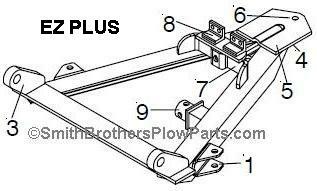 Click on Related Tab for Angle Ram Bolt Kit. 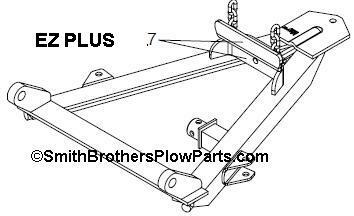 Moldboard Hardware Bag for TM Series Plows. 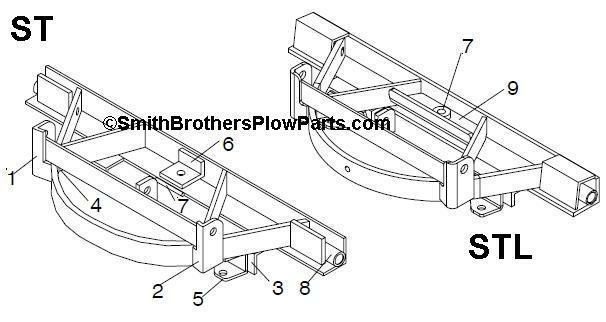 Includes 2 Pivot Bolts with grease fittings, and Center Pivot Bolt with grease fitting, Trip Spring Eyes, Mounting Pins with Lynch Pins, 2 Angle Ram Bolts that attach to Pivot Bar. King Bolt with Grease Fitting for Meyer TM Series Plows. 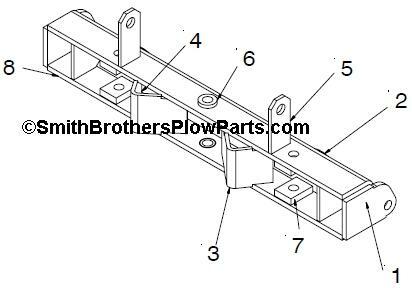 Click HERE for Moldboard Part Diagrams. ST Series is often referred to as an ST Model, C Series is often referred to as a C Model with Meyer C8 or Meyer C-8 being the most common. The C Series is also known as the Husky. The TM Series is often referred to as a TM Model, and it includes the Meyer Max, which is the poly version, and actually a TMP Model. All poly models end in P, such as STP for an ST Series Poly, and CP for a C Series poly.